My friend proclaimed ‘I am an art addict’, and then proceeded to follow up that uncompromising statement with an explanation: ‘I was hiking in Patagonia, and, although surrounded by an incredible display of natural beauty, my brain wanted to see a work of art. I always need new stimuli.’ He was revealing a personal truth to me that he found bewildering. In his compelling latest book, Elastic, Mlodinow offers some sophisticated explanations for my friend’s conundrum. Mlodinow argues that our brains have developed to reward engagement with the arts with a pleasure response. Creative and original thinking are fundamental to helping us to respond to change and unpredictability. It is neurochemically satisfying for us to solve problems, making innovation and evolution part of our genetic make-up. Analytical thinking, which emerges from our executive functions, is neither suitable nor sufficient when we are confronted by wholly new situations. In these cases, Mlodinow contends, we have to rely upon a non-linear, divergent way of thinking. Every day we are required to process a 300-page book’s worth of information. 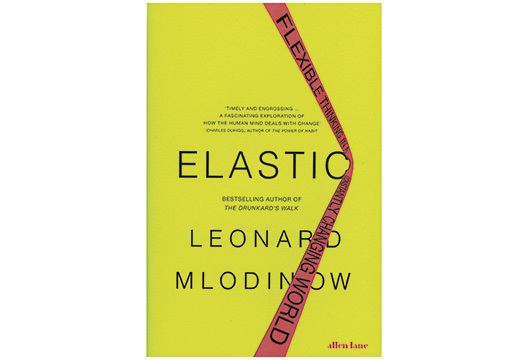 Mlodinow believes that we will only be able to cope with the shifting realities around us by being increasingly ‘elastic-minded’. The defining traits of this elasticity are neophilia and schizotypy: a love of novelty, the quick generation of unusual ideas and being able to integrate opposing concepts. Through an engaging narrative replete with witty anecdotes, Mlodinow summarises the latest neuropsychological studies that bear out his central thesis. These investigations extol the versatility of our cognitive resources, looking at their impact on society’s development, when interconnected with emotional networks. Mlodinow’s book is a must-read for anyone remotely interested in how we can adapt to the rapid pace of life in the 21st century. My friend certainly appreciated it – he’s taken to referring to himself as a ‘neophiliac innovator’!